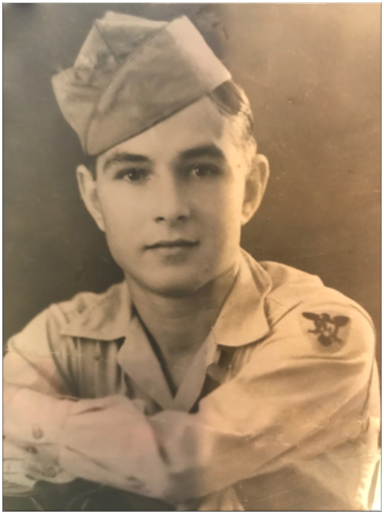 Tupelo – Mr. Thomas Baughman, 92, passed away peacefully on February 3, 2019. He was born in Hasty, Arkansas on June 4, 1926. He was a proud veteran of World War II where he served in the Philippines. He also served in the Army Reserves. He worked at MTD as tool and die supervisor for over 40 years. He attended Word of Life Church where he enthusiastically supported the television ministry. He was a faithful Christian and loved hearing and memorizing scripture. He loved listening to hymns and country music. A service celebrating his life will be at 2 PM, Wednesday, February 6, 2019 in the Tupelo Chapel of Holland Funeral Directors with Bro. Tommy Galloway officiating. Private burial will follow at Tupelo Memorial Park. Visitation will be Wednesday from 12 noon to service time. He was preceded in death by his wife, Libby Baughman, his parents, Ernest and Rentha Baughman, his brother Johnny Baughman, his sisters Vivian Jones and Vida Lee, and two infant sisters. He is survived by his three children, Diana Ezell (Allan), Tommy Baughman, and Wesley Baughman; his two grandchildren, Lane Ezell (Abby) and Libby Ezell; his sister, Dreana Ewing; his very special friend, Joann Harp; sisters-in-law Shirley Baughman and Carmen Peterson and many nieces and nephews. Pallbearers will be Lane Ezell, Terry Harp, James Harp, Mickey Decanter, Chris Thompson, and Johnathan Edwards. The family would like to thank the staff at the Greenhouses for their loving care and support and the staff of NMMC for their special care and support. In lieu of flowers, the family asks that donations be made to the television ministry at Word of Life Church, 1894 Cliff Gookin Blvd., Tupelo, MS 38801. Condolences may be e-mailed to hollandfuneraldirectors@comcast.net. The service may be viewed at hollandfuneraldirectors.com/livestream at 2 PM Wednesday and for 60 days following.